This neat, timeless design offers the ultimate in luxurious comfort and reassuring ergonomic support. 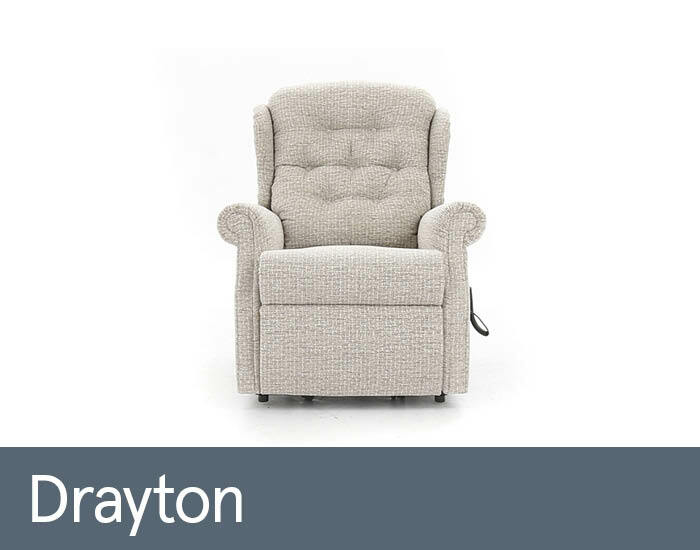 Whether you’re looking for an individual chair with your own specific comfort features or are furnishing a complete room and need a matching sofa and chair, Drayton offers a discerning seating solution. Easy to use controls, a smooth lift and recline motion that can be stopped exactly where you need it, plus world leading mechanisms and motors with emergency battery backup will give you complete confidence and support.